What did these scholars discover about people's behavior with peers as they pursue common goals? In the initial stages of goal pursuit, people tend to be supportive of one another. They advise and encourage one another. They reach out and try to help their peers. However, as people get close to achieving their goals, they become more distant from their peers. They are less likely to offer tips to others, or to share important and perhaps helpful information. According to this article from the Standford Graduate School of Business, "Almost 79% of those in the advanced stage expressed feelings of distance and reluctance to share information with other members, compared with 44.4% in the early stage." Huang studied this phenomenon from the perspective of engaging customers in programs such as Weight Watchers. The findings may have far-reaching implications though. We know from a variety of studies that sharing information within groups can be a challenge. Sometimes, we hear that people horde data because, "Information is power." However, we know that power is not the only reason people fail to disclose information to their peers. Sometimes, people work in different silos, and for that reason, barriers to free information flow exist. In other cases, people do not feel safe speaking up and sharing their perspective. This study suggests that sharing of information may be more prevalent when we begin to pursue a particular objective, but it may diminish as we approach our goals. Teams leaders, therefore, need to be particularly mindful of facilitating information sharing and knowledge transfer as projects mature. Does Variety Make Us Happier at Work? It depends on the time frame. In [our research], we looked at the effect of variety of our activities on overall happiness. We found that over a day or a week or a month, variety — perhaps consistent with people’s perceptions — leads to greater happiness. However, over shorter periods of time than a day, such as an hour, 15 minutes [or a] half-hour, when variety actually does get experienced as multitasking, it actually becomes fairly stressful, and instead of variety increasing my happiness, it makes me less happy. 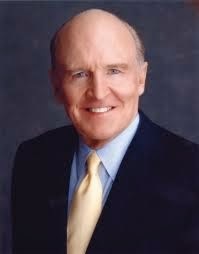 I'm excited that Jack Welch, former CEO of General Electric, will be speaking here at Bryant University on Monday, April 13th! Fortune has an in-depth look at Marriott's culture this week in its "best places to work" issue. The magazine notes that Marriott's leadership, culture, and talent management practices have enabled it to achieve low employee turnover. According to the article, "The average tenure for a hotel general manager at Marriott is 25 years; industrywide it’s much lower. Some 10,600 people have been there more than 20 years." I found this network quite interesting, because it creates the opportunity for information sharing and best practice transfer across the organization. Moreover, it enables important information to flow to the corporate office. It gives people voice and enables senior management to keep the finger on the pulse of the organization. Of course, the key to making these types of councils successful is what senior management does with what they hear from the field. I assume that Marriott demonstrates how they are truly listening to this input, and they act on the information and suggestions provided to top management. People want a voice, but they also want to be sure that they are actually being heard. If you are interested in learning more about Bryant University's College of Business, where I serve on the faculty, please follow us on Twitter at @BryantCOB. Hope you enjoy the conversation. How do you hire? A lot of it is intuition. I also think about the skills I have and the skills I need. I’m a big believer in the idea that people tend to fall into one of three camps — you’re either a thinker, a doer or a feeler. So I’ll be thinking about the mix of those three groups on my teams. If you have all thinkers, nothing will get done. If you have all doers, that can be really chaotic because you’re not necessarily thinking about the there, but at least they’re trying to solve the problem. And feelers are important because they create energy - but if you have too many of them, they will just dramatize the moment. When the put the different kinds of people together in the right way, that can be very powerful. You never want that out of balance. Jeff Sommer wrote an article in the New York Times this weekend about a recent study of mutual fund performance. The findings support a longstanding body of literature, but nevertheless, they are worth sharing because they are so stark. Sommer describes research conducted by Standard & Poors. They examined over 2,800 actively managed domestic equity mutual funds from 2010. They identified the top 25% performers during that year, and then examined how many of those funds stayed in the top 25% each subsequent year. How many achieved that feat through 2014? Only two! (Hodges Small Cap and AMG Southern Sun Small Cap). Amazingly, Sommer notes that random chance would have outperformed these mutual fund managers during this time period. If the managers of these funds had simply flipped a coin to select their stocks, we should have expected that three funds would have remained in the top 25% each year from 2010 through 2014! Do Work That Makes You Proud, and Don't Get Comfortable! At today's 18th annual Bryant University Women's Summit, we heard from many terrific speakers, including Sallie Krawcheck (former president of the Global Wealth & Investment Management division of Bank of America) and Hoda Kotb (morning anchor at NBC). One of my favorite pieces of leadership advice came from Martha Sullivan, CEO of Sensata Technologies. That firm is one of the world's leading suppliers of sensor technology, and it generates approximately $2.4 billion in annual revenue. Sullivan accepted the New England Businesswoman of the Year Award at this year's summit. In her acceptance speech, she reminded attendees, "Do work that makes you proud, and don't get comfortable." First, don't make your focus the judgements of others. Ask instead, am I proud of the job that I have done? Did I do my best work? Did I do it the right way? Second, don't get complacent based on past success. Don't think you've got it all figured out. The world's changing quickly, and the best leaders never get too comfortable. Great advice from a very successful leader! Ignite conversation: “Bring something into the meeting to provoke discussion” — a competitor’s work, for example ­– “for people to react to so you aren’t talking about abstract things,” said Jeremy Utley, director of executive education at the d. school. I would add three other suggestions to this very good list. First, think carefully about what you want to accomplish at the meeting. Ask yourself: In the ideal state, when this meeting ends, what will have happened? What will we have accomplished? Consider sharing your vision with the team. Second, identify how the participants can best prepare for the meeting. What materials should be distributed in advance? What would you like to ask the attendees to do in advance so as to be ready for a meaningful conversation? Third, are there people that I might like to "warm call" before the meeting? A cold call is when you suddenly ask someone to speak during a meeting. For some attendees, that will be a shock, and they won't react well. They may be very uncomfortable speaking up in a room with more senior folks in attendance. A "warm call" may be just the trick to encourage their active participation. You call them aside before the meeting, and you inform them that you like to call upon them during the meeting. Let them know precisely how you would like them to participate. Do you want them to join in a brainstorming process, relate a lesson from their past experience, play the devil's advocate, bring a new option to the table, etc. The warm call can bring a new perspective to the table that might not otherwise be voiced. Google CFO Patrick Pichette just announced his resignation. In this video from several years ago, he talks with Fortune's Adam Lashinsky about how the firm tried to speed up decision making when it realized it was no longer as nimble as it had once been. Years ago, the great mountain climber and documentary film producer David Breashears visited my classroom and answered a question about what he considered the most important leadership attribute. He said, "restraint." He went on to explain that the best leaders do not state their position strongly at the outset in most cases, because it will have undue influence on team members and perhaps cause them to self-censor. Instead, they listen first, before offering their opinions. 1. They do not state their positions at the outset of a decision-making process. Instead, they ask the team members to discuss the issue, share information, and offer alternatives. 2. They do not react immediately when someone offers an idea or alternative. Instead, they turn to other members of the team and ask for their thoughts. In so doing, they try to facilitate dialogue among team members, rather than creating a one-to-one conversation between leader and idea originator. 3. Rather than beginning a critical examination of a proposal by identifying its obvious weaknesses, leaders can try to probe for understanding. They can try to learn a bit more about the reasoning and the assumptions behind the proposal. They might say, "Help me understand why you think that is a preferred course of action." That line of questioning may help create a much more constructive conversation, and it may help the group identify other options that satisfy the goals and objectives of the person who originated the initial proposal. Do Innovation Labs Actually Generate Innovation? In this week's New York Times Corner Office column, Lew Cirne - CEO of New Relic (a software analytics firm) - describes his favorite interview question. One question I ask more often than others is, “Describe a day where you’ve just had the greatest working day of your life. You’re driving home and you’re on cloud nine. What was it about that working day that made you so happy?” If you’re doing what you love to do and it gives you that tingle down your spine, you’re going to execute at a high level. I like the question for two major reasons. First, it helps the interviewer understand what drives that particular applicant, what motivates them. You are trying to understand the sources of intrinsic motivation for that person. Second, it helps you evaluate whether the job roles and responsibilities fit with what this person gets excited doing. Perhaps they are a great candidate, but they won't be able to do what they love in this particular role. This question helps you identify whether that fit exists or not. The Great Recession threw the company off its stride. Being trendy seemed like an indulgence in a time of depressed wages and underemployment. Target’s marketing began echoing Wal-Mart’s dogma of frugal prices rather than fun and flair. Target cut back the shelf space it was devoting to unique, unproven merchandise—whether it was home goods or clothing—and reduced the quality of some of its apparel to keep costs down. Meanwhile, Macy’s, Kohl’s, and H&M were imitating the company with their own designer collaborations. Target was standing out less and less. To generate visits the company added more groceries, but without any distinctive touch to set it apart. By 2013 food, a notoriously low-margin business, had grown to a fifth of its revenue. Target had concentrated too much on the “pay less” part of its mantra and not enough on the “expect more” part. This excerpt suggest that Target moved away from its differentiated positioning during the economic downturn, as it tried to compete more on price because consumers were hurting. However, it found itself straddling its longstanding position as a highly successful differentiated player in the mass merchandiser market and the low cost position occupied by players such as Wal-Mart. It was in no man's land - not the most efficient, frugal, low cost and low price player... nor the hip, cheap chic, fashionable player it once was. Cornell seems to be moving aggressively to fix the problem. Target succeeded historically because it chose to stand out from other mass merchandisers, differentiating slightly from the low cost pack. Expect more, pay less. It didn't become Nordstrom, but it was clearly not Wal-Mart. JetBlue has tried to do the same thing in the airline industry. It's a tricky strategic position though, because you can't completely ignore cost and efficiency. You cannot have the cost structure of a luxury retailer. When recessions hit, it can become tempting to compete more aggressively on price so as to retain customers. However, that can damage the firm's differentiated positioning in the long run. Full disclosure here... Target is a great partner of Bryant University. I'm rooting for Cornell and the entire team to continue to reinvigorate the organization. Can Pure Intelligence Handicap You When It Comes to Strategy Formulation? The essential qualities for this type of person are flexibility, imagination, and resilience. But there is no evidence that these qualities are correlated with pure intelligence. In fact, the late organizational learning scholar Chris Argyris argued the opposite in his classic HBR article Teaching Smart People How to Learn. In his study of strategy consultants, Argyris found that smart people tend to be more brittle. They need both to feel right and to have that correctness be validated by others. When either or both fail to occur, smart people become defensive and rigidly so. What's the implication for strategists? In a world where no single right answer may exist, decision-makers need to be careful about analysis paralysis. They must resist the temptation to try to gather every last bit of data possible, thereby slowing the decision process to a crawl. Analytical decision-makers must add intuitive and creative types to their team. Moreover, they must be willing to conduct rapid tests and experiments, rather than becoming entrenched in lengthy planning processes before moving to implementation.